ครูเซ็ท ลีฟออนแฮร์เซรั่ม (อาหารผม) 110/200 มล. 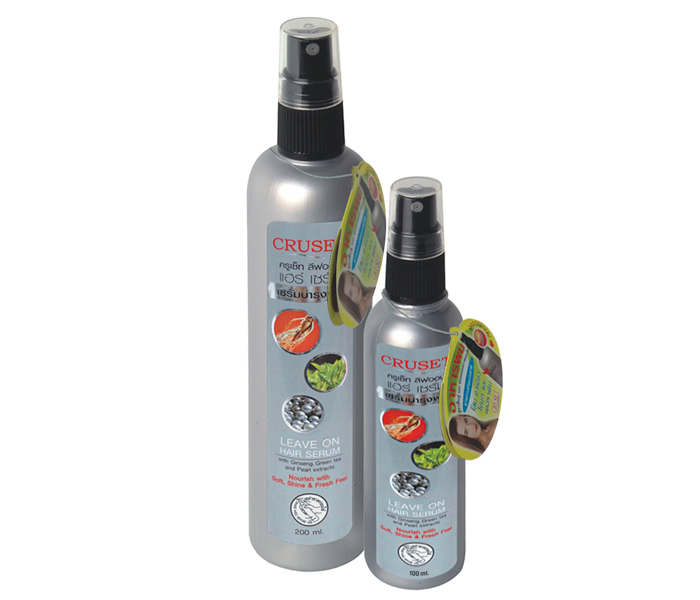 Cruset Leave On Hair Serum 110/200 ml. With Ginseng, Green tea and Pearl, develops for deep and fast penetration of the hair. Use before perming or colouring will protect hair from heat chemicals effect and replenish the hair become soft, smooth , shine, fresh feel and long lasting colour.